Do you need to take a long, hard look at your hardwoods? Great looking hardwood floors can have a great impact on the perception, and subsequently, value of your home. Flooring Service Group is here to help you with your hardwood flooring options. Whether you have floors that need to be refinished or linoleum that needs to be ripped up and replaced, we have your solution. Having served Snellville and the surrounding areas for almost a decade, Flooring Service Group has exactly what it takes to improve your floors' looks. From start to finish, our hardwood experts will walk you through each step to get your floors looking exactly like you desire. Our staff has been painstakingly trained at Flooring Service Group. Your flooring tech has the experience necessary to install, strip, stain, or repair your floors. Using craftsmanship and precision, we can expertly install prefinished or engineered floors. Our main priority is giving our clients floors they love, that increase the value of their homes. With their timeless warmth and luster, hardwood floors bring a room or home together. 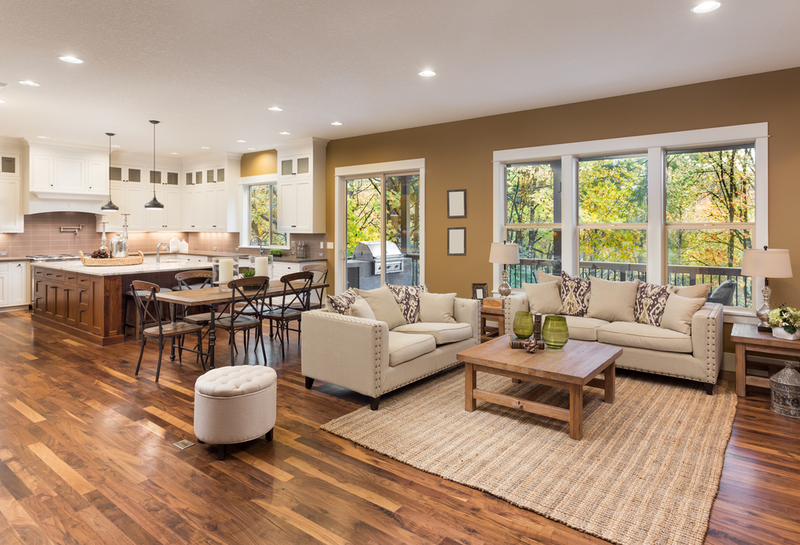 Whether you're in the market for solid oak, walnut, cherry, or bamboo, new or refinished hardwoods are a green alternative to carpet and linoleum. The options available for hardwoods leave no stone unturned and can titillate your senses. But the benefits don't stop there. Cleaning hardwoods is far easier than spot cleaning carpets or mopping linoleum, which can also stain. On top of their classic good looks, hardwood flooring also has great potential to increase your home's value. As far as germs go, hardwoods trap zero allergens, which is huge compared to carpet. Carpet can harbor dust mites, cat dander, mold, and a slew of other allergens. top of that, they're relatively easy to repair or replace. This makes hardwoods a better choice for people who suffer from allergies or those afflicted with asthma. If you're in need of hardwood flooring refinishing, Flooring Service Group is here to help. Our Snellville GA hardwoods team will assist you with your best flooring option. Give us a call at 678-697-0710 or fill out our contact form.